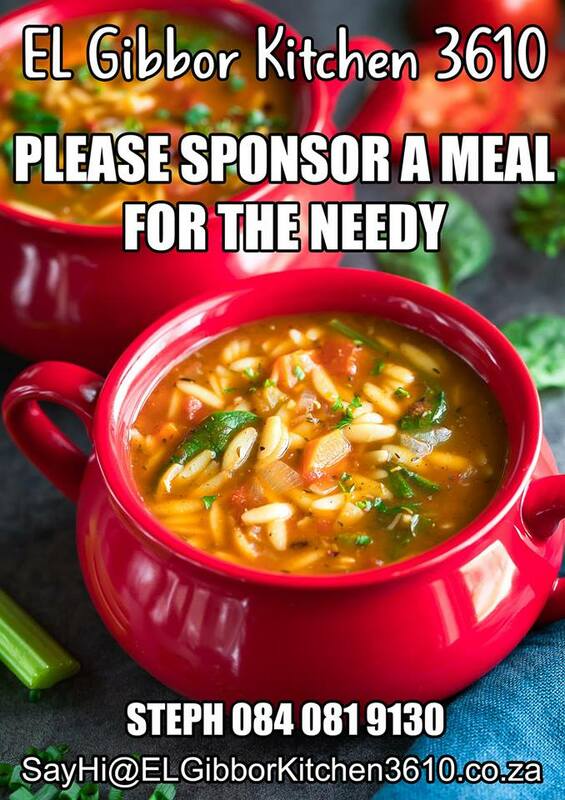 We would be most grateful if you, your school, your business or your church would provide one of our weekly meals. This is a wonderful opportunity to teach children how to give back to their community. Why not have a team building day and prepare a meal ? 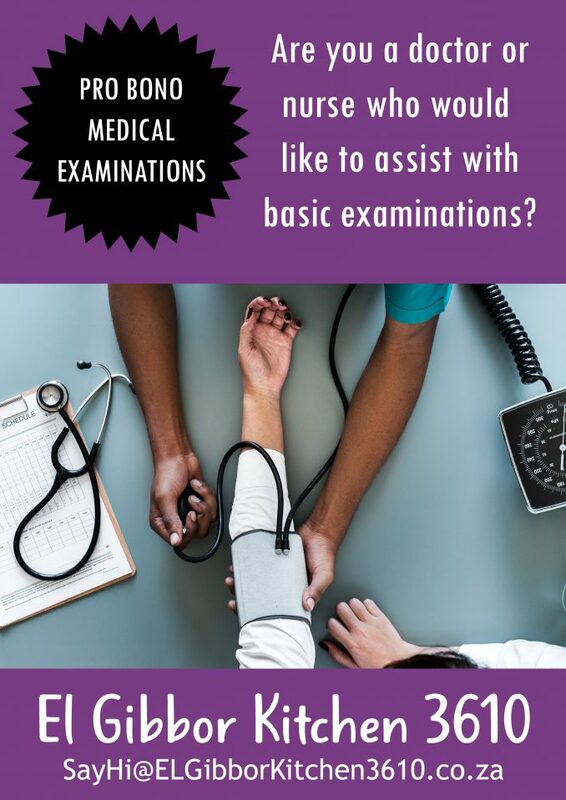 If you’d like to help, please contact us for available dates. Do you have any spare to share ? 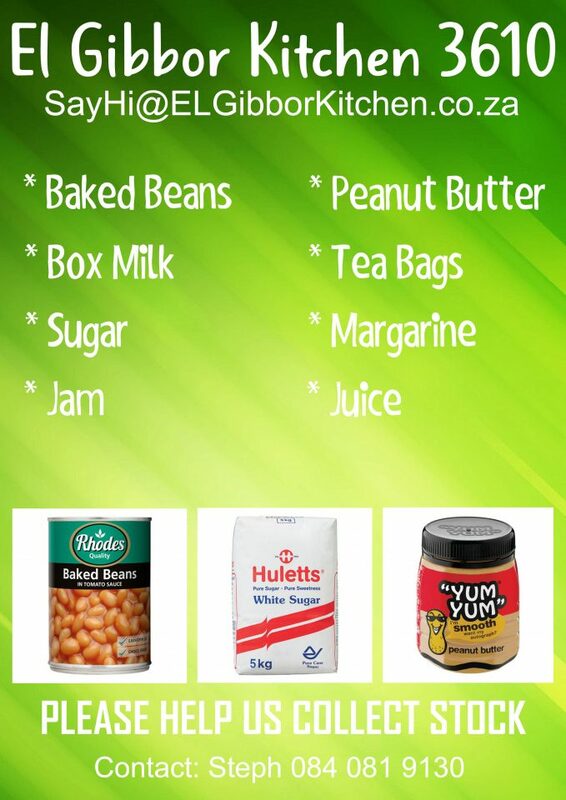 Our kitchen staples are constantly used to fill the gaps. We would be ever so grateful for your help. 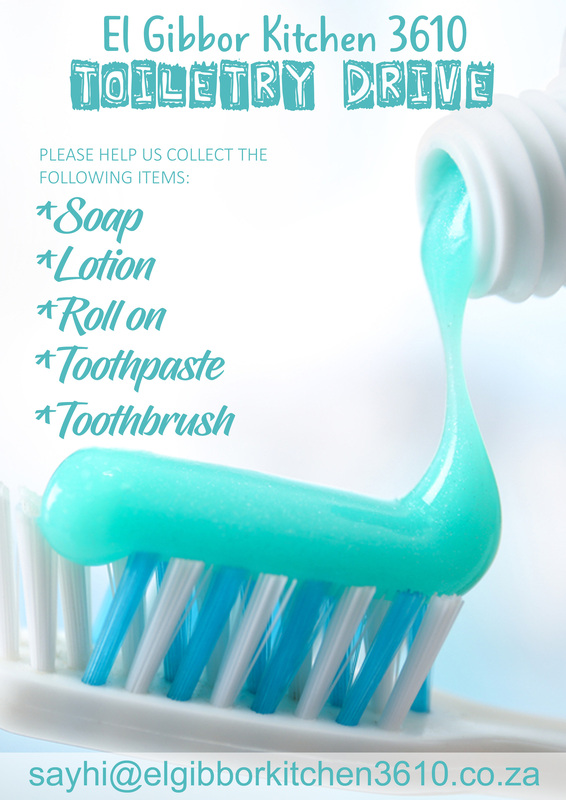 We are always in need of packaging and would really appreciate any items you would like to sponsor. 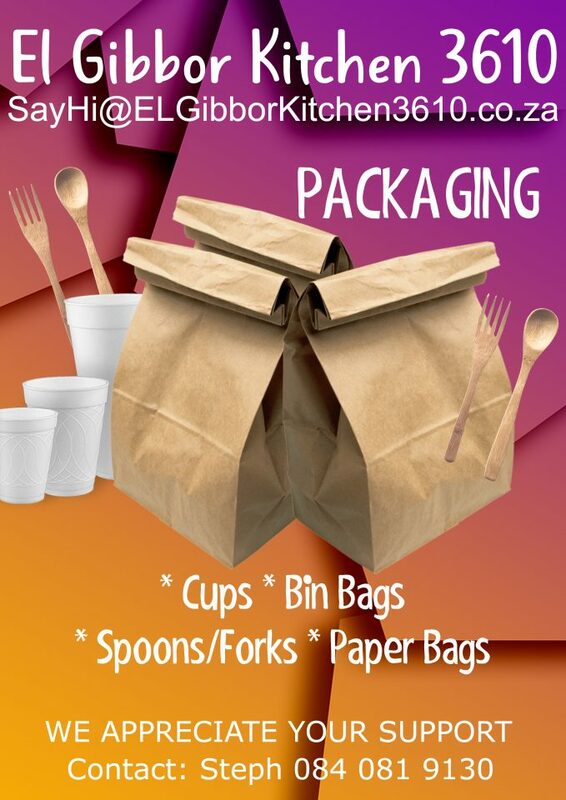 We are looking for eco-friendly, single-use items and would love to hear your ideas on what cost effective options are available. 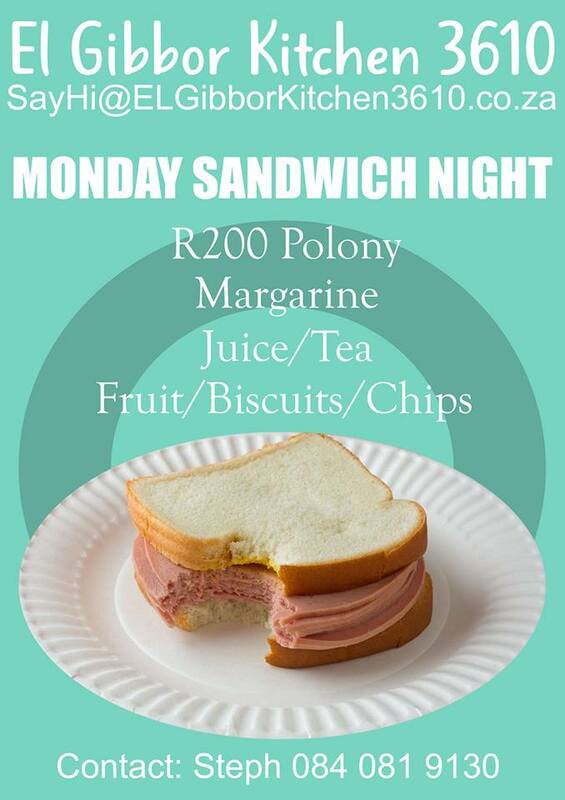 Monday’s we’re serving Polony sandwiches along with fruit and a drink. 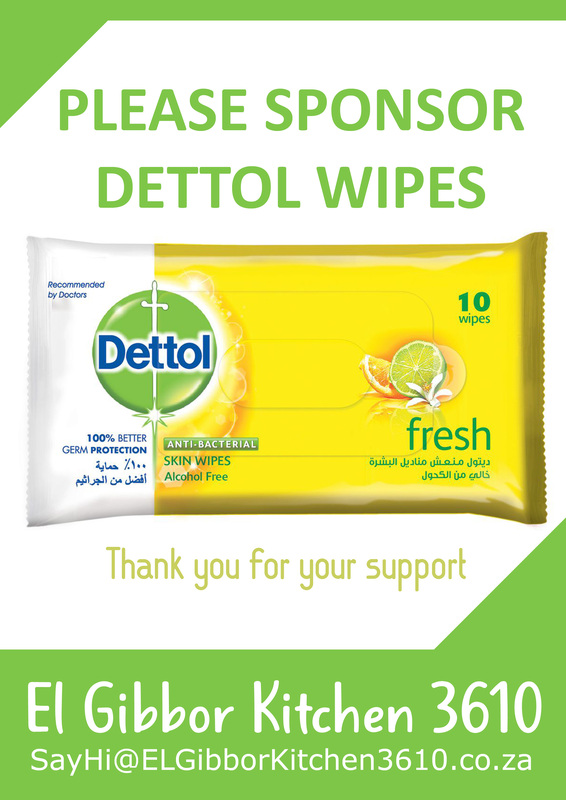 Please let us know if you would like to supply or sponsor any of these items. Our hungry friends will be most happy.